NPS List 2018/2019- The Nigerian Prisons Services (NPS) has finally release the list of shortlisted candidates for the 2018/2019 NPS recruitment exercise carried out earlier this year. 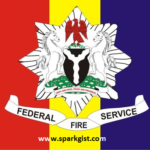 Note– We cannot categorically say if the current CDFIPB opening is for Federal Fire Services and Nigeria Prisons Service or for FFS, but we are to let you know that general portal that binds the Civil Defence, Fire Service, Immigration Service, Prisons Service which is the CDFIPB portal is open and Invitation Letter notice has been open. How do we check the prooms SHORTLISTED candidate’s?. No message in my email and SMS. Can I go for the exam?